A leading member of the Medico-Legal Alliance has hinted that the country's draft abortion law may face a legal challenge similar to the Asher's Bakery freedom of conscience case. Senior Counsel Ben Ó Floinn said it would be regrettable if such a challenge became necessary in order to secure a wide-ranging freedom of conscience for doctors who will not provide terminations. The recently published legislation to give effect to the 'Yes' vote in May's abortion referendum was to the forefront of many Alliance members' minds during their inaugural conference this morning. The Health (Regulation of Termination of Pregnancy) Bill allows General Practitioners who have a conscientious objection to providing terminations to opt out of the planned abortion regime. However, it obliges them to transfer the pregnant women concerned to the care of doctors who are willing to provide them. Mr Ó Floinn told RTÉ News that people would readily see that imposing a statutory obligation to make arrangements for something that your conscience dictates is not the appropriate thing to do is not the right way to approach the issue. "People campaigned (in advance of May's referendum vote) on the basis of Freedom of Choice. Now that choice should be to allow a wide-ranging freedom of conscience to those whose consciences tell them they want no part in this," Mr Ó Floinn said. He said it would be regrettable if a challenge similar to that in the Asher's Bakery case became necessary in order to secure this freedom. Earlier this week, the Protestant owners of the Belfast bakery won their British Supreme Court appeal against a lower court's judgement that they had discriminated against a gay man when they refused to bake a cake with a message supporting gay marriage. Last week, the country's Catholic bishops called the Republic's abortion bill and affront to conscience. And they called for healthcare professionals and pharmacists who oppose it to be allowed opt out on the grounds of their right of conscientious objection. They said the bill poses a very real practical and moral dilemma for healthcare professionals who believe in the fundamental human right to life and in their own responsibility to serve life. The bishops criticised the requirement for prolife doctors and nurses to refer the patient to a colleague who will perform the procedure. They said while this may have the appearance of respecting freedom of conscience, in reality it requires a healthcare professional to cooperate in what he or she sincerely believes is doing harm to one patient and taking the life of another. And they said healthcare professionals, pharmacists and ancillary healthcare workers, should not face legal, professional or financial penalties or any form of discrimination for their commitment to respect life. Health Minister Simon Harris has defended his conscientious objection clause, saying it would discourage any doctor contemplating turning away a woman in crisis without offering her any help. And he said planning was underway to ensure that women know exactly which GPs will provide abortions. 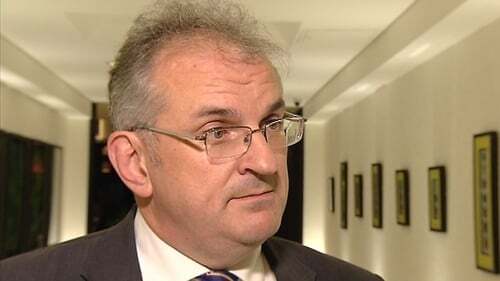 He told RTÉ's This Week programme that the HSE would be providing a 24/7 abortion helpline and that he had asked the medical colleges to consider how the system will ensure that women know which GPs are prepared to provide abortions.